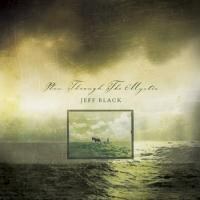 Jeff Black speaks the truth on Plow Through the Mystic. Jeff Black writes songs that call to mind Greg Brown, Bill Morrissey, and Townes Van Zandt. His voice can make time stand still and his lyrics are some of the finest in the land. This latest set continues a tradition established on earlier albums such as Tin Lily and Honey and Salt, the tradition of an artist delivering songs that are damn near perfectly crafted and filled with the wisdom of the ages. Highlights include “Walking Home”, the title song, “Waiting”, and “What I Would Not Do”. Plow Through The Mystic is worth taking your time with, listening to and absorbing slowly, as one would the work of a fine writer such as William Faulkner. Why? Because you can’t handle the truth men like this speak, not all at once.